There is a high prevalence of mental and neurological disorders worldwide; these account for 13% of total disability adjusted life years lost due to all diseases and injuries in the world. World Health Organization estimates that 450 million persons suffer from mental illness. Anxiety is widespread, with life-time prevalence rates ranging from 13.6% to 28.8% in Western countries. Individuals aged between 10 years and 25 years are at highest risk for developing an anxiety condition. A large number of herbs are used in the treatment of anxiety disorders. Herbs such as valerian, ginkgo, laghupatha, etc., are the herbs that are used to treat anxiety disorder. These anxiety herbs have lots of common adverse drug reactions such as drowsiness, dizziness, headache, etc. However, most of the herbal drugs are safe for treatment and although, the available pharmacological treatments for these disorders are not much effective, they have many limitations. We have not much treatment options that could safely and effectively alleviate anxiety. A review of the literature was conducted to ascertain and discuss the anxiolytic potential of some medicinal plants present in the lap of nature. It is hoped that the more efficient and effective application of natural products will improve the drug discovery in anxiety. Comprehensive review will pave a way to focus the anxiolytic potential of medicinal plants. Diabetic neuropathy is a serious complication of diabetes as a result of nerve damage from long term diabetes. Oxidative stress can lead to cell damage which in painful diabetic neuropathy can be associated with peripheral and central sensitization and increased pain. The most common sites of pain are in the periphery involving the feet, toes, and hands. It is recommended that foot exams be done every year in patients with long standing diabetes to prevent diabetic neuropathy. Nerve conduction tests and electromyograms are important tests to detect diabetic neuropathy. Several drugs that have phytochemicals/plant extracts have been tried for the treatment of Diabetic Neuropathy. Research for the treatment of diabetic neuropathy is also ongoing in the field of gene therapy. Objective: The present study was designed to investigate whether early detection of blood ketone bodies help in diagnosing Diabetic ketoacidosis (DKA) and also to explore whether early changes in blood β-hydroxybutyrate is associated with serum electrolytes and acid-base abnormalities. Research Design and Methods: A total of 122 consecutive type 2 diabetic patients (age 39 ± 15 yrs and body mass index 20.3 ± 2.4 kg/m 2 , mean ± SD) were included in the study. 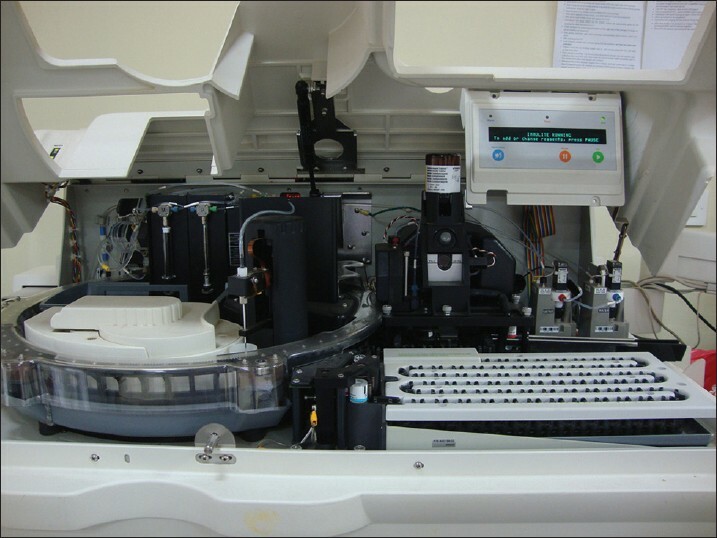 Plasma glucose was measured by glucose oxidase method, glycosylated haemoglobin (HbA 1C ) by high-performance liquid chromatography method, blood β-hydroxybutyrate by biosensor method; urinary acetone was measured by strip based on nitroprusside reaction. Serum urea and creatinine were measured by enzymatic method. 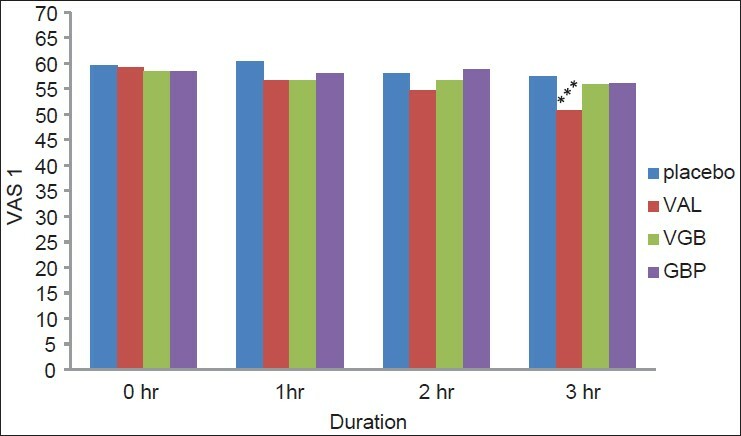 Serum electrolytes were measured by ion sensitive electrode technique. Sensitivity, specificity, positive predictive value (PPV), and negative predictive value (NPV) for urinary ketone method were calculated against the blood ketone. Results: The relative frequencies of DKA, using urinary ketone and blood ketone criteria, were 15.6% (19 out of 122) and 13.9% (17 out of 122), respectively. In contrast, 50% (61 out of 122) patients showed hyperketonemia. Using blood ketone as the reference method, the sensitivity of urinary ketone measurement was found to be 32.6% and specificity was 93.7%. PPV and NPV of urinary ketone against blood ketone were 73.68% and 71.84%, respectively. The DKA subjects, diagnosed by blood ketone criteria, showed significant biochemical derangements as compared to Non-DKA subjects [serum urea (P < 0.001), creatinine (P = 0.02), sodium (P < 0.001), potassium (P < 0.001), total carbon dioxide (P = 0.02), and osmolality (P = 0.02)]. Correlation analysis shows that electrolytes, blood gas, and acid-base status have highly significant correlation with blood ketone levels (Na + - r = −0.303, P < 0.001; K + - r = 0.449, P < 0.001; Mg 2+ - r = −0.174, P < 0.05; TCO 2 - r = −0.573, P < 0.001; venous blood pH- r = −0.659, P < 0.001, and osmolality- r = −0.273, P < 0.002). No such correlation was found with plasma glucose except that for serum sodium (r = −0.301, P < 0.001). Conclusions: Measurement of ketonuria by nitroprusside reaction has considerable limitations with an error of about 25-30% in detecting the ketonemic status of type 2 diabetic patients. The present data also demonstrated that severity of hyperketonemia, but not that of hyperglycemia, reflects the underlying biochemical derangements in type 2 diabetic patients better. Context: The cognitive and psychomotor functions may become impaired in epileptic patients due to underlying etiology, effect of seizures and side-effects of antiepileptic drugs. It is desirable for the drug to have a minimal effect on cognitive abilities. 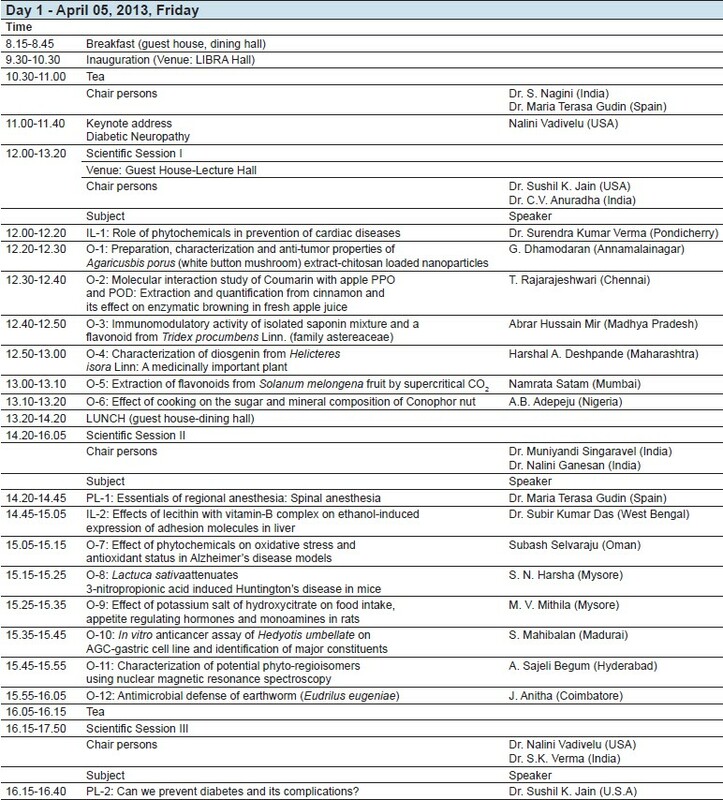 Few studies have evaluated the psychomotor effects of newer antiepileptic agents and hence do not have the proper evidence base for their psychomotor adverse effects. Aims: The aim of this study is to evaluate the effects of gabapentin (GBP), vigabatrin (VGB), valproate (VAL) on psychomotor functions. Settings and Design: Randomized, prospective, double-blind, placebo (PLB) controlled crossover study. Subjects and Methods: A total of 24 healthy volunteers were included to administer single oral doses of GBP 300 mg, VGB 500 mg, sodium valproate 200 mg and PLB following a Latin square design. The objective parameters - six-digit cancellation test, digit symbol substitution test, critical flicker fusion test, arithmetic ability test, digit span test, hand steadiness test and subjective parameters like visual analog scale (VAS) were tested at 0, 1, 2 and 3 h. Statistical Analysis Used: Repeated measures ANOVA was used to compare the difference in mean score. Fisher's exact test was used for statistical analysis of adverse effects. Results: Sodium valproate impaired all subjective and objective psychomotor functions while GBP, VGB did not show any impairment when compared with PLB. GBP when compared with VGB, no difference was observed in any test, but when both the drugs were compared with sodium valproate, statistically significant difference at the end of third hourwas observed. Conclusions: VGB and GBP have few adverse cognitive and psychomotor effects as compared with sodium valproate, therefore are safe as add on therapy or monotherapy. Objective: The present study was planned to explore the role of amylin in the pathogenesis of impaired fasting glucose (IFG) and impaired glucose tolerance (IGT) subjects. Subjects and Methods: In this study, 20 IFG and 25 IGT subjects along with 30 healthy subjects were included. Plasma glucose (fasting and 2 h after 75 g glucose) was measured by glucose oxidase method, serum triglyceride and total cholesterol, high density lipoprotein (HDL) and low density lipoprotein (LDL) by enzymatic method. Serum insulin and amylin were measured by the enzyme-linked immunosorbent assay method. B-cell secretory capacity (Homeostasis model assessment [HOMA] %B) and insulin sensitivity (HOMA %S) were estimated by HOMA-CIGMA software. Results: Age and body mass index were matched among control and the hyperglycemic groups (IFG, IGT). 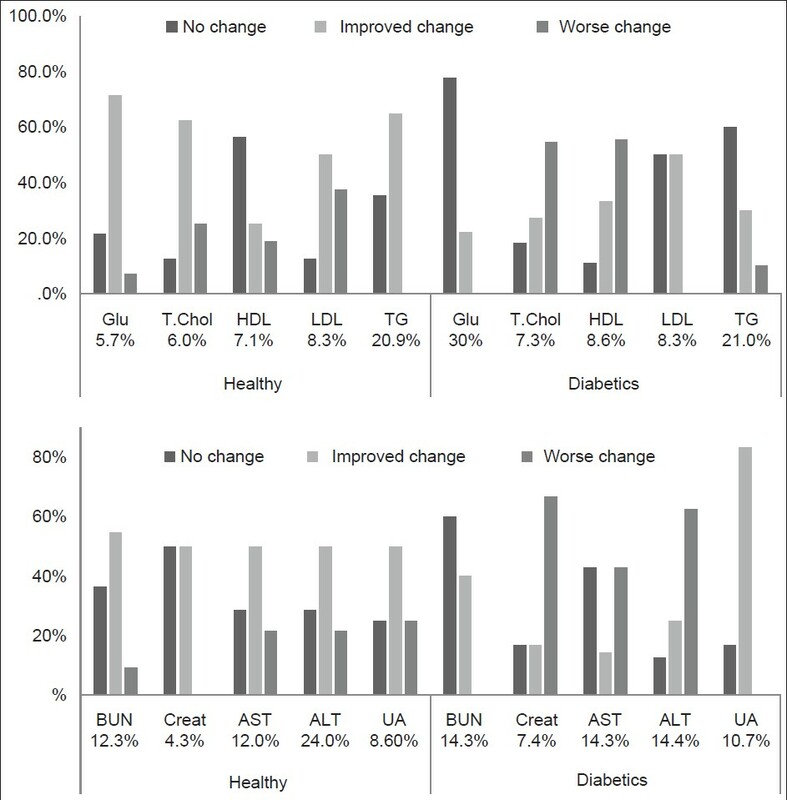 Fasting total cholesterol, HDL and LDL was significantly higher in IGT subjects compared with control and IFG subjects. Plasma insulin was significantly higher in IFG and IGT compared with control subjects (median [range], pmol/l; control, 38 [28-55]; IFG, 49 [40-56] and IGT, 60 [20-91]). HOMA %B was significantly lower in IFG and significantly higher in IGT subjects compared with the controls (median [range], %; control, 81 [53-156]; IFG, 52 [40-63] and IGT, 95 [33-195]). HOMA %S was significantly decreased in IGT and also in IFG compared to controls (median (range), %; control, 137 [95-187]; IFG, 104 [88-127] and IGT, 86 [57-255]). Plasma amylin was significantly raised in IFG and IGT compared to control subjects (mean ± standard deviation, pmol/l; control, 5.0 ± 0.63; IFG, 6.43 ± 0.67 and IGT, 8.0 ± 1.18). In binary logistic regression analysis, it has been found that plasma amylin concentration is positively associated with impaired glucose regulation and in bivariate correlation analysis it has been found that plasma amylin is positively associated with HOMA %B and negatively associated with fasting glucose. Conclusion: The present data suggested that increased amylin concentration may be contributed to the development of pre-diabetic condition or vice versa. Aims: Flax seeds and soya bean are a rich source of unsaturated fatty acids, antioxidants and fibers known to have anti-atherogenic activities. The study attempted to evaluate the effect of flaxseed and soya bean supplementation on serum lipids of dyslipidemic subjects. Methods: The subjects were divided into three groups: Experimental group-I (E-I), experimental group-II (E-II) and a control group (C). Group E-I was given 30 g of roasted flaxseed chutney powder and group E-II was given 30 g of soya nuts for 12 weeks. Both groups and the control group were prescribed with similar dietary guidelines. Anthropometric parameters, blood pressure and blood lipid profile were estimated before and after completion of the study. Results: Twelve week therapeutic intervention indicated significant drop (P < 0.05) in blood pressure, whereas a highly significant reduction (P < 0.01) was noted in Total cholesterol and triglycerides. A significant improvement in high density lipoprotein cholesterol was recorded in the groups receiving flaxseed (P < 0.01) and soya bean (P < 0.05). Body mass index, cardiac risk ratio, atherogenic coefficient and atherogenicity index of plasma were also found to improve significantly. Conclusion: These findings suggest that therapeutic intervention with flaxseed and soya may be a preliminary, but efficacious means of improving cholesterol and triglyceride levels in those diagnosed with dyslipidemia and may also be advocated in place of drug therapy when cholesterol levels soar just above the normal range. Background: There have been studies that report clinical benefits of the use of folic acid as an adjuvant to the antiepileptic therapy in the prevention of antiepileptic drug-induced gingival enlargement. However, studies conducted in the past have also reported precipitation of epileptic attacks in patients on folic acid adjuvant therapy due to fall in sera levels of phenytoin due to drug interactions. The study was planned to investigate the association of phenytoin-induced gingival enlargement and sera levels of folic acid in epileptic patients on phenytoin therapy. Subjects and Methods: A total of 25 patients aged between 18 and 50 years clinically diagnosed with epilepsy prior to the start of phenytoin therapy were included based on selection criteria and written informed consents were obtained. Assessment of serum folic acid levels and gingival enlargement was done prior to the start of and after 6 months of phenytoin therapy. The statistical analysis was done using t-test and the baseline serum folate levels and the serum folate levels obtained after 6 months of phenytoin therapy were correlated with the respective grades of gingival enlargement using Pearson's coefficient formula. 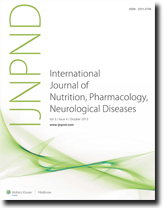 Results: The results of the study confirmed a significant association between low serum folate levels with increasing severity as well as an early onset of phenytoin-induced gingival enlargement justifying the judicious use of folate supplementation to prevent this inadvertent side effect of phenytoin administration. Conclusions: The results of the study suggest a higher incidence of gingival enlargement in phenytoin-treated epileptic patients with a positive correlation with falling serum folic acid levels as the duration of the therapy increases. Background: Dandruff is one of the most commercially exploited skin disease by the personal care industry all over the world, which affects 5% of the global population. Plant kingdom is a gold mine for novel and affordable skin care acting through novel mechanisms against skin pathogens. Identification of these remedies for such skin care is an important study for the preservation of traditional knowledge for the antimicrobial treatments. Semicarpus anacardium Linn. (Anacardiaceae) has been used for the skin care since ancient times. Aim of the Study: The aim of the present study was to investigate the antidandruff potential of S. anacardium seed extract and development of phytochemical, antimicrobial, and formulations. Materials and Methods: Antimicrobial activity of petroleum ether extract of S. anacardium seed was studied by agar well diffusion method using Escherichia coli, Staphylococcus aureus, and Candida albicans strains. Two herbal antidandruff shampoo formulations were developed and evaluated using parameters, physical evaluation, that is, color and consistency, pH, washability, homogeneity, spreadability, and skin irritation tests. The developed herbal shampoo formulations were assessed for their antidandruff potential manually on the human volunteers, respectively. One phenolic compound was isolated using preparative column chromatography, followed by thin layer chromatography. Results: Results of present studies revealed that there was a concentration-dependent antimicrobial effect compared with standard antibiotic disc, that is, gentamicin. S. aureus showed more zone of inhibition than E. coli. The inhibitory zone of all isolates was determined as 0-23 mm. 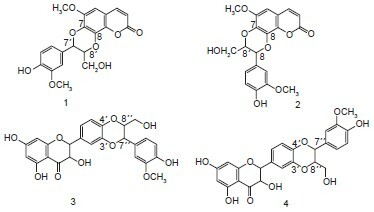 The observed antimicrobial activity was due to the potent bioactive phytoconstituents present in the extract. Our formulations were found to be semisolid consistency, brownish black color with very slightly alkaline pH, that is, 7.3 and 7.1, which is compatible with normal skin physiology, easily washable, homogenous aggregations, good spreadabilty along with free from skin irritation. The developed antidandruff herbal shampoo formulations were manually checked for its safety and efficacy on human volunteers for a week and were found that complete irradication of dandruff within a time period of 7 days. These formulations were also softening the hairs. The preliminary phytochemical analysis of the petroleum ether extract of S. anacardium was showed the presence of phenolic compounds, tannins, saponins, flavonoids, steroids, glycosides, carbohydrates, and alkaloids. 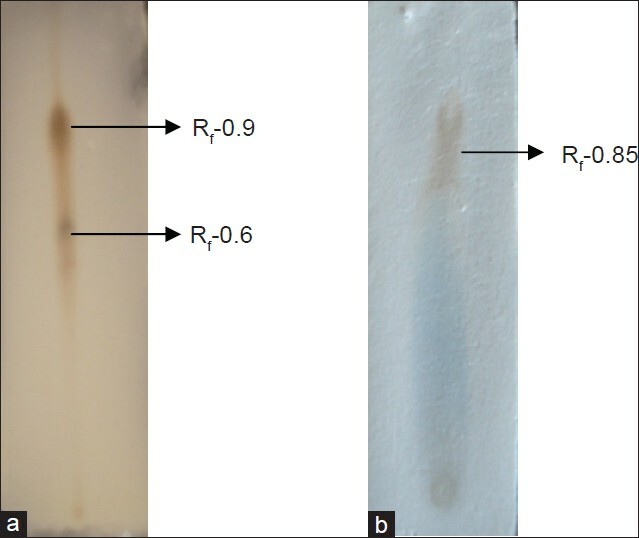 Further, two compounds were detected in the thin layer chromatographic analysis of extract of S. anacardium which having their R f values 0.9 and 0.6. One phenolic compound was isolated which has R f value 0.85. Conclusion: The petroleum ether extract of S. anacardium seed possessed a broad spectrum of activity against a panel of bacteria and fungi responsible for the most common microbial diseases. This plant can be used as a cheap source of active therapeutics. Further, exploration of plant derived antimicrobials as well as their identity is needed. However, further series of scientific studies are required to prove its clinical reliability, safety, and efficacy for the beneficial of mankind. Background and Aim: Coptic Orthodox Christian (COC) diet is unique in that it regularly interchanges between an omnivorous to a vegetarian type of diet, through four fasting periods over the course of the ecclesiastical year. Several studies have described its dietary regulations, however, its possible involvement in health is lacking. The aim of the present study is to detect the metabolic changes during COC fasting. Subjects and Methods: Seventy two devout Orthodox Christian fasters, 25 of whom were diabetics and 40 matched controls, of whom 10 were diabetics, voluntarily participated in this study. A total of 240 blood samples were taken after at least 2 weeks before and during the different fasting periods. The fasting schedule was identified as either vegan (no sea food) or vegetarian (with sea food). Serum glucose (Glu), lipid profile, renal markers and hepatic enzymes, were measured and their within-subject biological variation was calculated. Results: The within-subject biological change due to fasting differed among subjects of the same group, gender and diet. Still, generally healthy subjects showed a decrease in Glu, triglycerides (TG) and TG/ high-density lipoprotein while the diabetics had a decline in blood urea nitrogen (BUN), BUN/creatinine ratio and uric acid. Conclusion: The effect of fasting differs among subjects and we cannot generalize its effect on all people. The strong individuality observed supports the preferential use of within-subjects biological variations and the reference change values rather than population-based reference intervals. Aim: The present study was designed to investigate the anxiolytic activity of "N-n-propyl-3-ethoxyquinoxaline-2-carboxamide (6n)," a novel 5-hydroxytryptamine Type 3 (5-HT 3 ) receptor antagonist in experimental mouse models of anxiety. Materials and Methods: The anxiolytic activity of "6n" (1 and 2 mg/kg, intraperitoneally (i.p.)) was evaluated in mice by using a battery of behavioral tests of anxiety such as elevated plus maze (EPM), light/dark (L and D) box, hole board (HB) and open field test (OFT) with diazepam (2 mg/kg, i.p.) as standard anxiolytic. All the tested doses of "6n" did not affect the base line locomotion. Results: The new chemical entity "6n" (1 and 2 mg/kg, i.p.) and diazepam (2 mg/kg, i.p.) significantly increased the percentage of time spent and number of entries in open arm in the EPM test. In the L and D test compound "6n" (1 and 2 mg/kg, i.p.) and diazepam (2 mg/kg, i.p.) significantly increased the total time spent in light compartment as well as the number of transitions from one compartment to other. While "6n" (2 mg/kg, i.p. ), diazepam (2 mg/kg) showed a significant increase in number of square crossed and "6n" at (1 mg/kg, i.p.) did not affect the number of square crossed significantly. Compound "6n" (1 and 2 mg/kg, i.p.) and diazepam (2 mg/kg, i.p.) also significantly increased number of head dips and number of square crossed in HB test whereas significantly decreased the head dipping latency as compared with vehicle control group. In addition, "6n" (1 and 2 mg diazepam (2 mg/kg, i.p.) significantly increased the ambulation scores and number of rearing in OFT. Conclusion: In conclusion, these findings indicated that compound "6n" exhibited an anxiolytic-like effect in animal models of anxiety. Tuberculosis (TB) affects one-third of the world's population and is the leading cause of human mortality and morbidity. Treating TB is the most efficient and cost-effective of all health interventions. 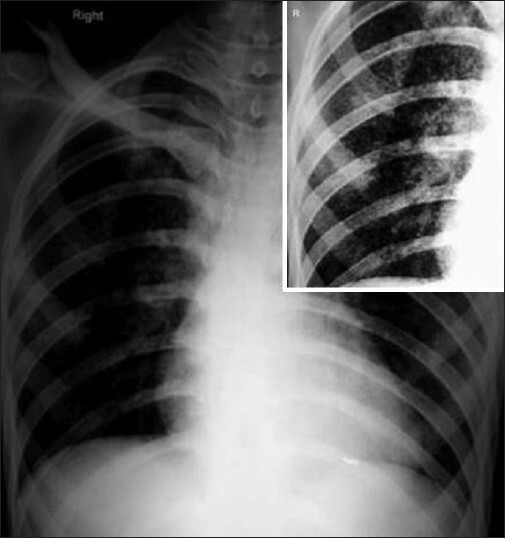 A 22-year-old male patient presented with loss of appetite, on and off fever since a month, and past 4 days patient was irritable and in altered sensorium. There was no history of headache, nausea, and vomiting or neck pain. On examination he had signs of meningeal irritation with palsy of right sixth cranial nerve, resting tremors in hands, generalized rigidity and cognitive defects like apathy, psychomotor retardation, and impaired memory. Investigations revealed elevated ESR; Chest X-ray showed bilateral milliary shadows and MRI brain showed mildly dilated ventricles and hyperintense lesions. Patient was started on oral anti-tubercular treatment under category I intensive phase, parenteral dexamethasone and mannitol and patient made remarkable clinical improvement and was discharged after 2 weeks. Atypical presentation of TBM is not uncommon in developing nations like India. 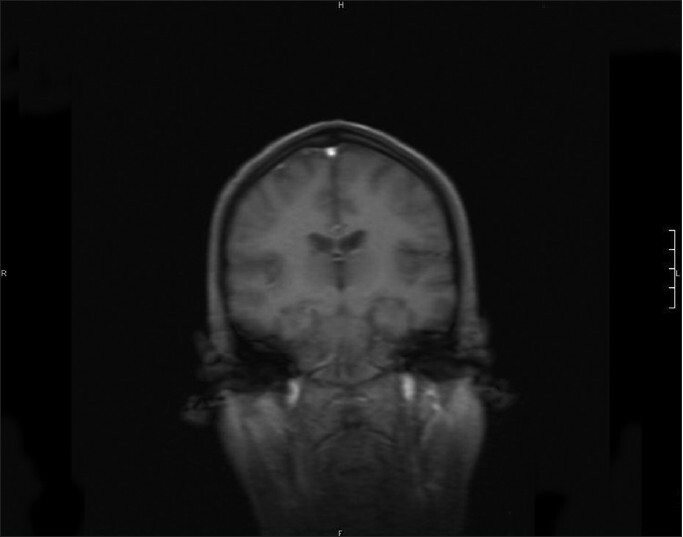 We report one such case presenting with unusual symptoms and signs. This report is intended to make physicians aware of the unusual clinical presentations of tuberculous meningitis. Hepatic myelopathy (HM) is a rare neurological complication of the chronic liver disease usually seen in adults and presents as a disabling progressive pure motor spastic paraparesis, which is almost always associated with overt liver failure. 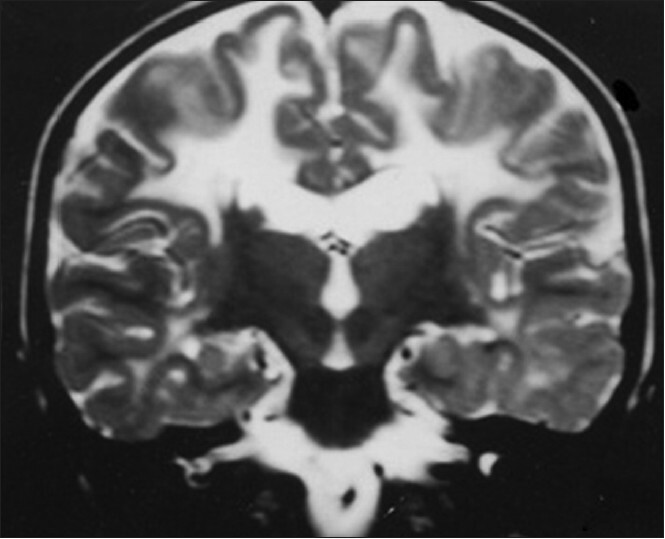 We report a case of a 45-year-old male who presented with rapidly progressive spastic paraparesis due to HM and features of hepatic decompensation (postnecrotic cirrhosis), who presented with the second episode of hepatic encephalopathy. Patient had not undergone any shunt procedure. Vanishing white matter is an autosomal recessive leukoencephalopathy linked to mutations in the eukaryotic translation initiation factor 2B. It is a disease of infants, children and adults who experience a slowly progressive neurologic deterioration with episodes of rapid clinical worsening and eventually leading to death. We report a classical case to highlight its clinical significance.